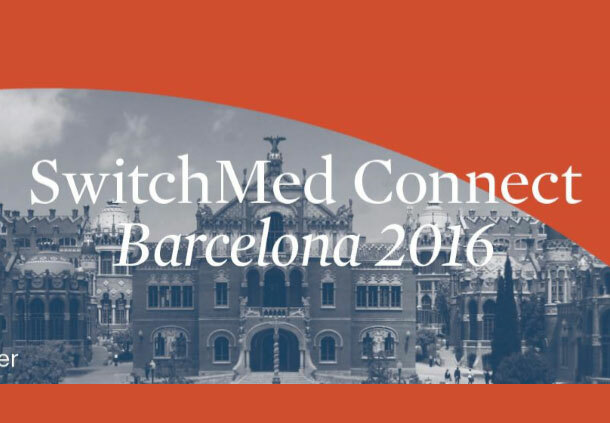 Barcelona hosts the second edition of the SwitchMed Connect, an annual gathering that brings together leaders in the field of eco and social innovation in the Mediterranean countries. – Social and eco innovations solutions will be shared to achieve productive, circular and sharing economies in the Mediterranean. – 350+ participants from 16 Southern and Northern Mediterranean countries including green entrepreneurs, small and medium sized enterprises, policy-makers, civil society organisations, financing institutions and business networks and intermediaries are expected for the SwitchMed Connect. Barcelona, 17 th October 2016. SwitchMed Connect will bring together more than 350 Mediterranean and international actors to promote more sustainable patterns of consumption and production, to build synergies, exchange knowledge and scale up eco and social innovations. This is the second edition of the SwitchMed Connect, an annual gathering organised under the SwitchMed Initiative, funded by the European Commission. The event will take place on the 19th and 20th of October at the Sant Pau Art Nouveau Site, in Barcelona, Spain. In this second edition, the agenda includes 26 sessions clustered into six different tracks: policy, industry, entrepreneurs, civil society, finance, businesses & retailers with more than 100 speakers. There is also the opportunity to connect and network with stakeholders coming from 16 countries from Southern and Northern Mediterranean countries. According to Enrique de Villamore, Director of the Regional Activity Centre for Sustainable Consumption and Production – one of the implementing partners of the SwitchMed Programme-, ¨in this second edition of the SwitchMed Connect we will be able to share comprehensive insights and the outcomes that we have achieved so far. The implementation of many different actions on the Middle East and North Africa region is now a reality, so slowly but surely SwitchMed is contributing to change patterns of consumption and production in which circular economy measures are successfully being implemented¨. Stephan Sicars, Director of the Department of Environment at the United Nations Industrial Development Organization (UNIDO) highlighted that ¨up to now, UNIDO has engaged 119 companies to MED TEST II and capacitated 329 industry professionals on UNIDOs unique approach of how to address the challenges and barriers industries face in becoming more resource and energy efficient, less-polluting, safer, and to produce products that are responsibly managed throughout their life cycle. This action is a substantial contribution in closing the loop for a circular economy and brings benefits for both the environment and the economy¨. During the two days of the SwitchMed Connect, impressive stories of eco and social innovations driving the shift to circular economy in the Mediterranean region through Pecha Kucha will be introduced by the ¨Switchers¨. The Switchers are individuals, enterprises or civil society organizations that have been able to develop innovative solutions contributing to the switch to a sustainable and fair consumption and production pattern. Also, an overview of the circular economy approaches and business models as well as policies in support will be provided by experts from the region; circular economy applications at the city level will be the focus in two workshops where efforts in Barcelona will be showcased such as the ‘super blocks’ concept, entrepreneurs and financiers will talk on how to crack the financing nut and to succeed in accessing green finance; grassroots initiatives from Morocco, Algeria, Tunisia and Lebanon will be presented; several leading examples of industrial symbiosis in the Mediterranean will be shared; how Sustainable Business Models in the Mediterranean can be transferred and scaled-up will be discussed too, amongst many other topics. Nearly 100 top-notch speakers will inspire the participants, including: Maciej Popowski, Deputy Director-General in the Directorate General for Neighbourhood and Enlargement Negotiations of the European Commission; Stephan Sicars, Director of Environmental Branch at UNIDO; Gaetano Leone, Coordinator at Mediterranean Action Plan – Barcelona Convention Secretariat / UNEP; Miguel Garcíaherraiz Roobaert, Deputy Secretary General at Union for the Mediterranean (UfM); Marta Subirà i Roca, Secretary for Environment and Sustainability, Government of Catalonia, Department of Territory and Sustainability; Ministry of Agriculture, Food and Environment of Spain (MAGRAMA); Enrique de Villamore, Director at the Regional Activity Centre for Sustainable Consumption and Production; Paola Migliorini, Team Leader Circular Economy, Unit B1 – Sustainable production, products and consumption, DG Environment, European Commission; James Pennington, Project Specialist, Circular Economy, World Economic Forum; Hasso von Pogrell, Managing Director of European Bioplastic; Maria Cristina Fossi, Associate Professor of ecology and ecotoxicology at the University of Siena Team Leader of the UfM labelled project “Plastic Busters for a Mediterranean Free from Litter”; Zoé Luçon, scientific coordinator at ANIMA Investment Network; Elisa Tonda, Head of the Responsible Industry and Value Chain Unit in the Economy Division of UN Environment; Mokhtar Zannad, CEO at NIELSON; Sofia Diaz Rivera, Project Manager at Bonafont, Danone Mexico; Najib Saab, Secretary General at the Arab Forum for Environment and Development and Publisher and Editor-in-Chief of Al-Bia Wal-Tanmia; Elisabeth Folguera, Quality, Health & Safety and Environmental Manager at Toyota Material Handling Spain, S.A.; Rainer Agster, Director Operations, SEED/adelphi research, amongst others. All speaker profiles are available on the SwitchMed Connect website at the ¨Speakers¨ section. SwitchMed is an initiative that supports and connects stakeholders to scale-up Sustainable Consumption and Production (SCP) in the Southern Mediterranean Region through social and eco innovations. It aims at achieving productive, circular and sharing economies in the Mediterranean by changing the way goods and services are consumed and produced so that human development is decoupled from environmental degradation. It supports industry, emerging green entrepreneurs, civil society and policy makers through policy development, demonstration activities and networking. 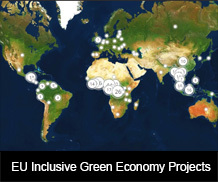 The SwitchMed Programme is implemented by the United Nations Industrial Development Organisation (UNIDO), United Nations Environment Programme Mediterranean Action Plan (UNEP/MAP), Regional Activity Centre for Sustainable Consumption and Production (SCP/RAC) and the UNEP’s Division of Technology, Industry and Economics (UNEP/DTIE). UNIDO supports the development of green industry and sustainable production implementing the MED TEST II programme, helping service providers increase their capacity to deliver sustainable production services matching the industry needs. UNEP/DTIE supports the development of SCP National Action Plans and follows-up closely the implementation of the demonstration pilot projects of four countries. UNEP/MAP together with one of its centres, the SCP/RAC implemented the regional policy-maker activities and implements pilot projects in four countries. In addition, SCP/RAC supports green entrepreneurs and change makers driving eco and social innovations in the region by providing training, technical and financial advice. SCP/RAC also hosts the Networking Facility that contributes to the visibility, effectiveness and scaling up of the SwitchMed activities.